Our standard session is ideal for up to 3 pets. If your project falls beyond the scope of that please speak to us for a tailored price. The session fee includes travel of up to 20 miles from our office (there’s a mileage charge thereafter at 45p/mile). There’s also a charge for time in transit if you're more than an hour away. Your session fee doesn’t include any products, these are purchased separately. Commercial photography clients please get in touch for pricing. We charge a half day or day rate, with licensing according to your needs. Here's a small selection of some of the exclusive products we've created for our furry clients and their owners. We specialize in clean, modern yet classic pieces which stand the test of time. Beautifully hand made for every customer, we're confident you'll love what you see. Our wall items include classic canvases, framed canvases, and our range of both classic and contemporary mounts and frames. Our handmade albums include cover options from fine leathers, linens and silks to glossy acrylics and metals. It isn't possible to list the many variations and size options of our goods, and each order is different. Please call us for a chat and we'll run through our product pricing with you. 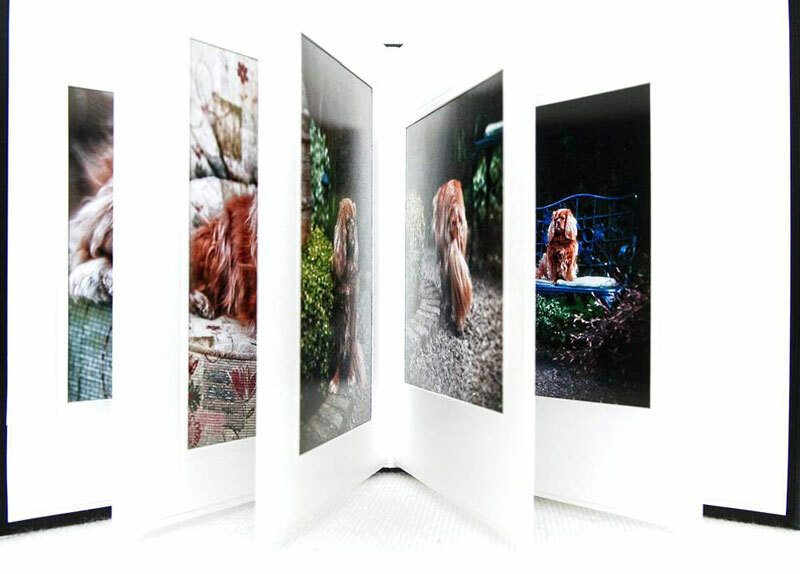 As a guide a beautiful 10” or A4 bespoke album with 20 pages is from approximately £565. Our wall presentations are from £235 starting at 16”. Our most popular 30” framed wall piece is £550. A modern 20” box-frame photograph is £275.